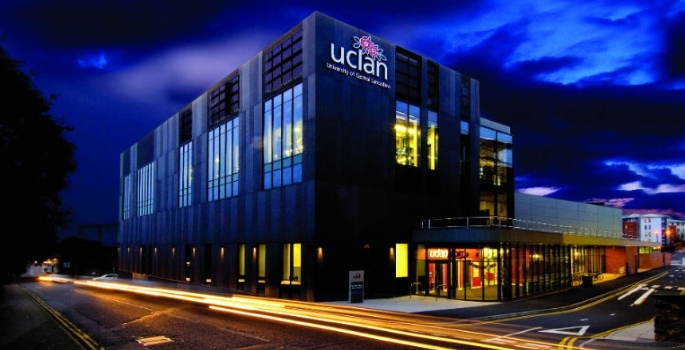 Q. You’ve been Interim V-C at the UCLan for the last eight months, which you described as an ‘intensive induction’. What’s been the biggest challenge for you during this time? A. It is difficult to think of a single priority challenge. A number of issues faced the University simultaneously. For example one challenge was to keep the senior team focused on the University business and retain concentration on core issues. Another was to ensure that all our students and staff had the necessary support and resources so that they could get on with what they needed to do in the best possible environment. Other issues were recruitment, stabilising the financial position, completing the restructure that had started the previous year and ensure that our external stakeholders and partners were kept informed of developments. 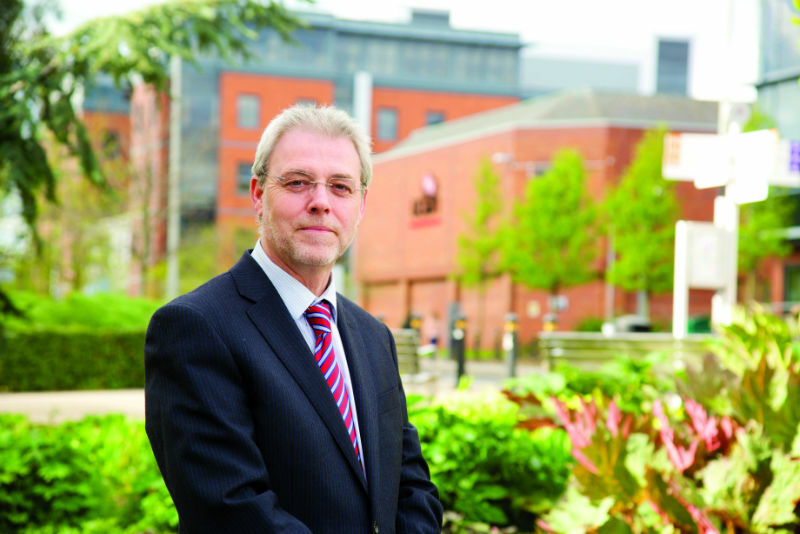 At the same time a series of huge consultation events were held to facilitate the University Five Year Strategy with detailed discussions held at board level around the type of governance that was required to take the University forward. I have described it as an intensive period of induction and one of the best training grounds that you could ever have if you wanted to be a Vice-Chancellor. All these issues occurring over a very short period of time simultaneously with a wonderful team around me and an excellent and growing relationship with our student bodies and our staff representatives meant that, despite all the challenges, it was actually an extremely enjoyable time for me personally. Q. What have you enjoyed the most during your time as Interim V-C? A. I have enjoyed so many things as the Interim Vice-Chancellor; developing the strategy with our staff and students; strengthening external links with partners and stakeholders; instigating new staff awards in recognition for the excellent work that is done in the University, participating in open days and festivals that are held in the University, and getting a huge population within the University to reach a consensus about our strategic intent. But probably the two most enjoyable things that I had as the Interim Vice-Chancellor were the meetings I had with our students and the meetings I had with staff, in groups or with individuals. Their contribution to the University, their thoughts about areas of improvement and their ideas for dealing with challenges was a heady mixture of common sense, innovation, lateral thinking and teamwork. Q. One of your tasks as V-C is to deliver the new 2015–2020 corporate strategy, could you tell us more about that? A. The University Strategy 2015–2020 is an exciting period for the University as we aim to achieve our objectives outlined in the plan. We are going about this in several ways. One of the most important things is to ensure that core funding is available and the finance team, working with other University colleagues, are ensuring that the finance position is strong. I am leading the senior team to prioritise our initial objectives and sequence into a five-year plan. Many of the objectives relate to each other. It is complex but not insurmountable to put forward a series of plans which are sequential. As one objective is reached it acts as a base for the next step and that is what we are currently putting together so that the academic delivery and our specialist support deliveries know which objectives they have to reach each year. The corporate objectives are ambitious but my view is that a University of this size and of this calibre should always set itself objectives that are ambitious and that are also realistic. The Corporate Strategy is in separate areas although they all relate to each other. Our mission is to create positive change in other people by providing excellent higher education, innovation and research. Our values include the pursuit of excellence in all that we do, equality of opportunity for all, supporting the rights and freedoms of our community and the advancement and protection of knowledge and freedom of speech as well as supporting all who are involved with the University. To reflect these values our strategic plan includes student access, progression and success and a huge amount of work is going on to expand our research and innovation activities. We will continue to embed our internationalisation projects through traditional university partnership agreements. We will develop the strong themes on social engagement so that we can engage with our city, our region and globally. Q. Thinking about the UK HE sector as a whole, what will be the biggest challenge for universities over the next 12 months? A. The biggest challenge for universities over the next 12 months and beyond is dealing with the number of policy initiatives that are currently being developed or rolled out by government. Many of those policies will have an impact over subsequent years and universities have to be prepared to be faster at responding to issues, be more flexible, be more open to their community and engage more fully in local, regional and national regeneration activities. I have some real concerns about the impact of the loss of the maintenance grant with its transfer to a maintenance loan for students who are already in an environment of economic difficulty. I worry about mature students with family and domestic commitments who may feel, wrongly, that a university degree may be unachievable. I remain concerned about the migration approach taken by the government and the loss of intellectual skills and investments that could come into the UK from both students and academic staff internationally which has declined over the past five years. One of the other big challenges for the University sector is to speak as one voice rather than provide a cacophony of different views, which just confuse both policy makers and the public. Q. What will be the biggest challenge for you, and for the University, over the coming months? A. The biggest challenge for me and for the University over the coming months is to deal with the external issues and manage them in a coherent fashion so that they influence the work that we do in a manner that continues to provide high-quality support for our students, partners and other stakeholders. The approach that I am taking is easier to say than to do but using common sense, paying attention to detail, working as a team and showing compassion will ensure the University will overcome any challenges and will go from strength to strength. Q. Finally, with the festivities firmly behind us, have you broken your new year’s resolution yet? A. I don’t burden myself unnecessarily with new year resolutions as I suspect most of the time I would doom myself to failure! I am, however, over-reliant on copious amounts of tea, supplemented by biscuits and the odd slice of cake and there is a growing realisation that I should lower the intake!